The United States Preventive Services Task Force (USPSTF) has released new recommendations on screening for cervical cancer which for the first time do not include the Pap test. Since its introduction 75 years ago, exfoliative cytology commonly known as the Pap test has been the “gold standard” screening test for cervical cancer but the latest recommendations have made the “annual Pap” a historical artefact. The update by an independent panel of experts in primary care and prevention on 2012 recommendations for cervical cancer screening has appeared in the Journal of the American Medical Association (JAMA). 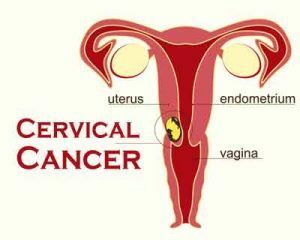 Most of the cervical cancer cases are caused by infection with oncogenic, or high-risk, types of HPV. It is the fourth most common cancer in women worldwide. From 2012 to 2016, there was a continued decline in the number of women receiving cervical cancer screening and only 43 per cent of adolescents (50 percent of girls and 38 percent of boys) were up to date with the HPV vaccination guidelines even 10 years after approval of the first HPV prophylactic vaccine in the U.S. The new USPSTF guidelines recommend that women ages 21 to 29 years be screened for cervical cancer every three years with the Pap test alone which remains unchanged from 2012. USPSTF recommends screening for cervical cancer with primary high-risk human papillomavirus (hrHPV) test alone every five years for women ages 30 to 65 years. As an option, they also recommend the previous guideline of hrHPV test and Pap test together (co-testing) every three years. Pap tests detect changes in cervical cells that could indicate the presence of pre-cancer or cancer, while HPV tests detect the genetic material or DNA of the high-risk types in cervical samples. Recommendation on co testing (HPV +Pap) for 30-65years women is every 5 years not 3 years . I hope and wish that HPV screening is widely available at reasonable rates every where .